Home > News, RPG	> Words cannot describe my excitement… so here are some gameplay videos (and a map)! 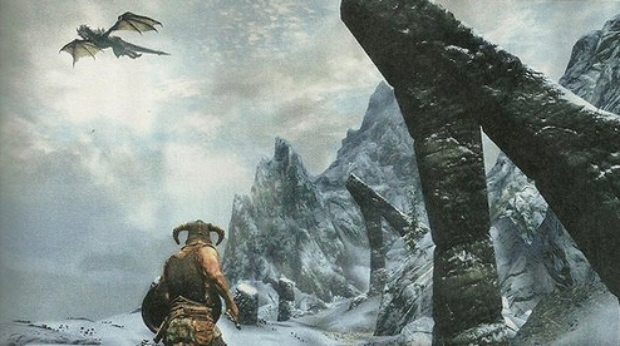 These videos are narrated by the game director Todd Howard who will lead you through some of the features (dual-wielding spells = a mage’s dream) while you get a chance to soak up the awesome. Also of note is the randomly spawning dragons. Fun fun fun! If that wasn’t enough to get you excited here’s a map of where you will be whittling away your hours on this mortal plane. 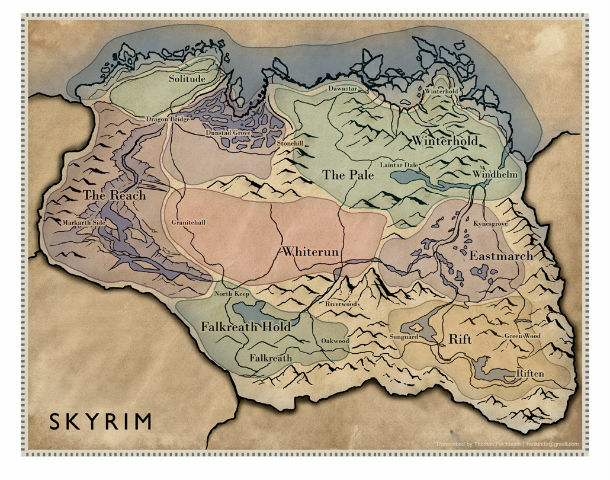 If you remember the world map from Oblivion you’ll recall that Skyrim was the area north of Cyrodiil (i.e. expect lots of snow). checked these out on ign the other day and although I’ve always held that first person and melee combat aren’t great together (oblivion’s gameplay never felt as tight as say dragon age… perhaps a bad comparison) This is still going on my can’t wait list. it just looks so much more polished than before! if nothing else it’s probably the best looking western fantasy rpg we’ve ever had or am I wrong? You aren’t wrong… at all… in any way whatsoever! Gatling Gears Review Trailers…. Trailers Everywhere….